BUTLER – The Newhaven Court at Clearview team is known for bettering the lives of senior residents and their families. But the Butler senior living community also supports the younger generation. Newhaven Court at Clearview will assist Butler High School junior Aeragwyn Winters, a first-year student in the Health Assistant Program at Butler County Area Vocational Technical School. The senior living community will sponsor Winters as she competes in the team event of Forensic Medicine at the Penn HOSA 40th State Leadership Conference to be held April 3-5 at the Radisson Hotel Valley Forge and Event Center near Philadelphia. Winters is one of 25 Butler County Area Vocational Technical School students who will be among 972 attendees and 720 competitors at the conference. The organization’s two-fold mission is to promote career opportunities in the health care industry and to enhance the delivery of quality health care to all people, the website states. HOSA’s goal is to encourage all health occupations instructors and students to join and be actively involved in the HSE-HOSA Partnership. As a chartered state association member of HOSA, the Pennsylvania program provides a unique program of leadership development, motivation, and recognition exclusively for middle school, secondary, postsecondary, adult, and collegiate students enrolled in HSE programs. 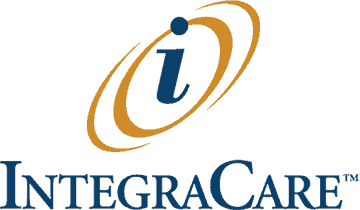 For more information, contact Stephanie Steiger, Director of Sales and Marketing, Newhaven Court at Clearview, at ssteiger@integracare.com or 724.477.8701.